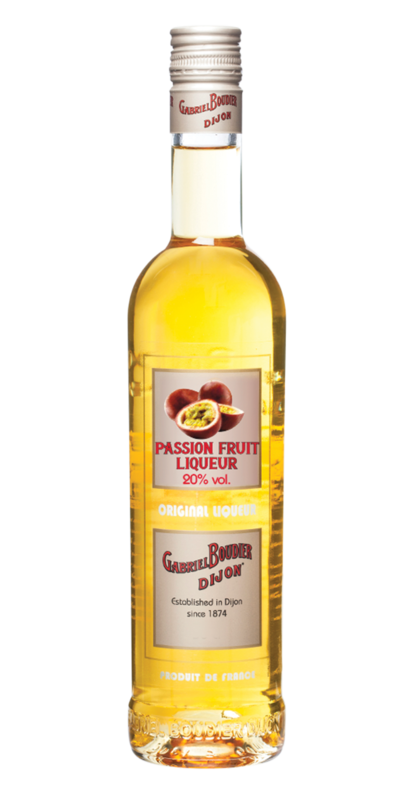 Gabriel Boudier Bartender Passion Fruit Liqueur | Bartender Liqueurs | Flavoured Liqueurs — Emporia Brands Ltd. Knowledge and expertise of more than 140 years is at the heart of the House of Gabriel Boudier. A name that is now renowned worldwide. Since its foundation in 1874, Gabriel Boudier has invented and diversified into a range of exceptional products that delight enthusiasts of crème de fruits as well as liqueurs. Gabriel Boudier is now synonymous with authentic tastes which we invite you to discover, enjoy and share with us. The Gabriel Boudier Bartender range is par excellence for times of celebration and fun. The name denotes a trend-setter or aficionado, the Bartender range leads the way and keeps you company at sociable and relaxing occasions. Gabriel Boudier’s Passion Fruit liqueur has a rich aroma embracing mangoes and lychees, but also more domestic fruits like sloe berries and peaches. The complexity of the palate will surprise those who appreciate fresh fruit. Nose: Fresh passionfruit, hard boiled sweets and marmalade notes. Palate: Fresh passionfruit with a slight boiled sweet note.